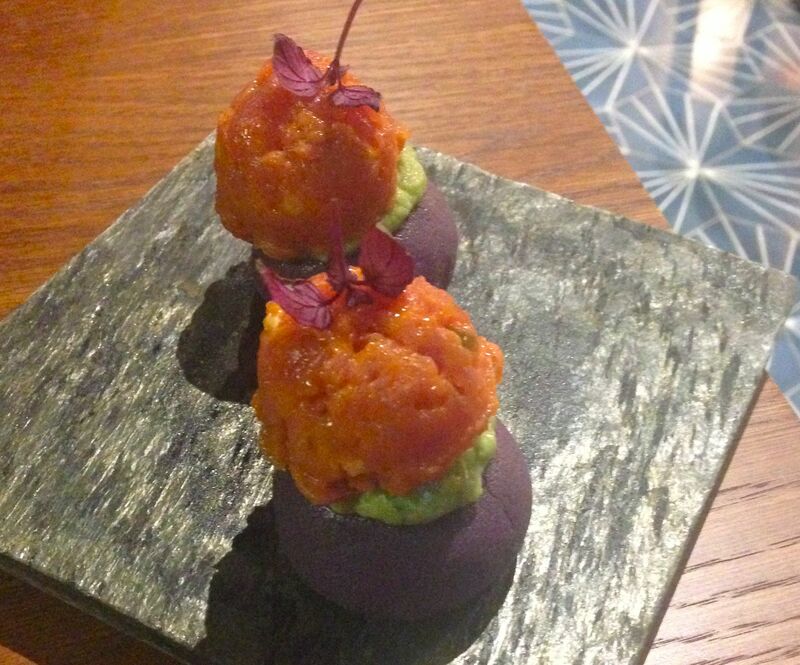 On my last visit to Lima Floral in Covent Garden I was kind of hoping to taste their tapas offering. Tapas (or pequeos as they’re called in Peru) are only served in the downstairs bar and I had to choose off the a la carte menu that night. I did love it, as you can see here. It also gave me an excuse to return…and head straight down the stairs. 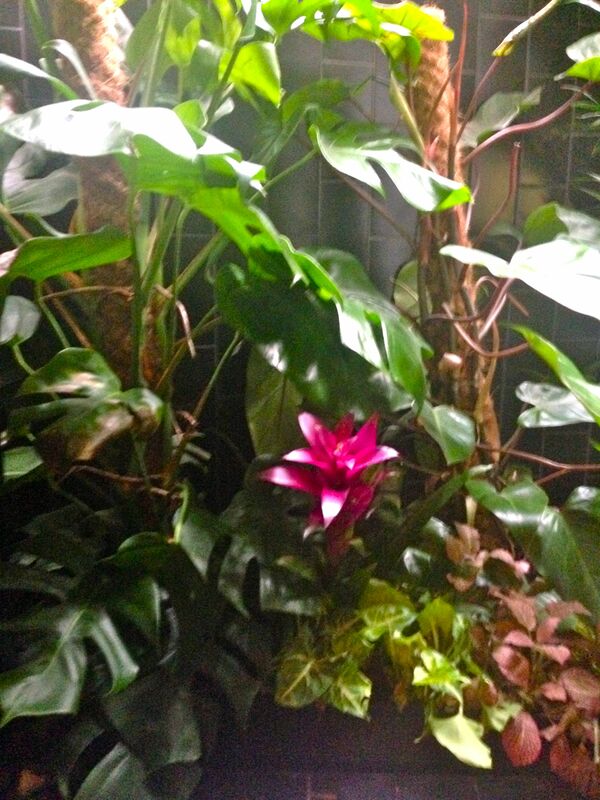 The welcoming bar has booths along one wall, a sparkling swirly blue floor and windows displaying exotic plants just outside, Peruvian plants, naturally. The tap water arrives with a mysterious flavour which I quickly identify as cucumber. Yummy! Their huge jugs have slivers of cucumber and little redcurrants added for the tastiest tap water in Covent Garden. The menu is divided into five sections, each with four options. First up is the Causa section. Causas are a unique potato starter. This is tuna, Amazonia cashew, blue potato and uchucta. A blue (purple?) 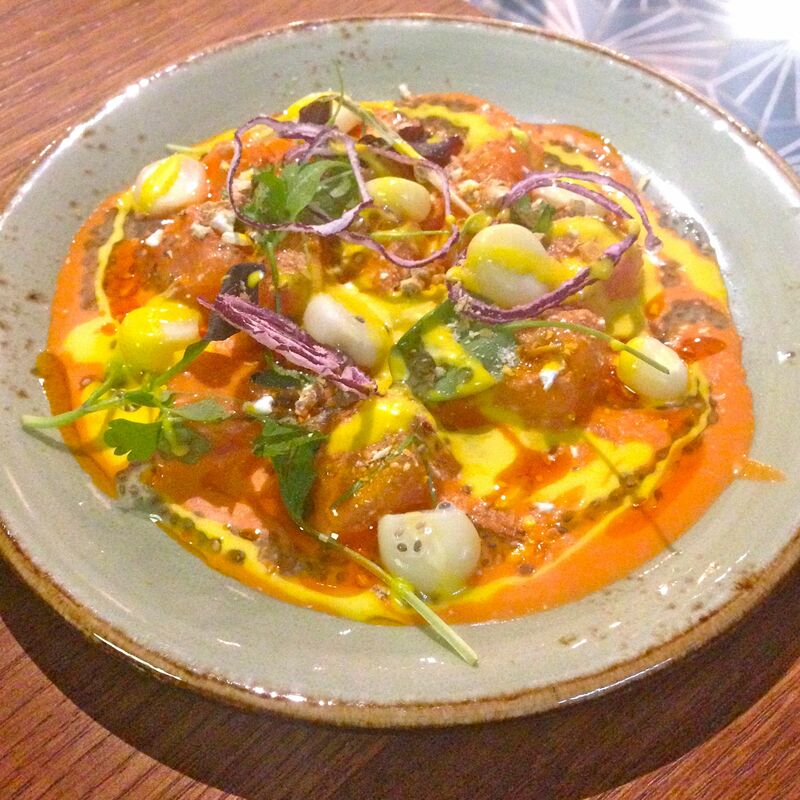 potato provides the base and it’s topped with fabulously fresh tuna tartare mixed with the uchucta which is a spicy Andean sauce. It looks quite spectacular and tastes amazing, too, once I’d got over the shock that it was cold…I was expecting to put something hot into my mouth, no idea why. Something completely different. The tostada section offers tortilla-based choices. 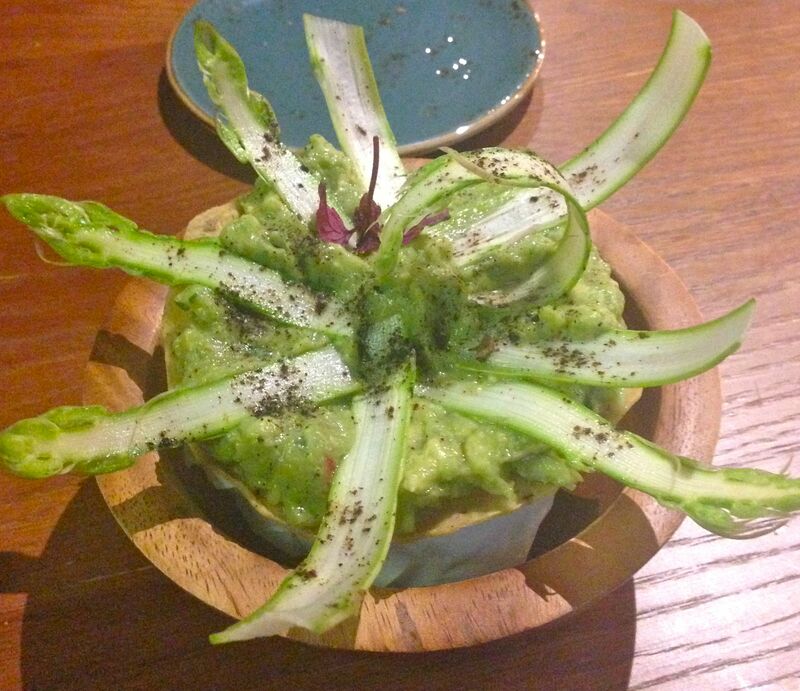 The asparagus, avocado, uchucuta and onion ashes was like a cleverly sophisticated form of guacamole to dip into with some added asparagus – raw, very thinly sliced asparagus..nothing is quite what you’re expecting at Lima Floral which makes for an exciting dining experience. I love ceviche, so this section is a must for me. The salmon, rocoto tiger’s milk and limo chilli pepper was the prettiest dish of the day with its two vibrant sauces made using different chilli peppers. Fresh and zesty. Then there’s the anticuchos – little pieces of grilled, skewered meat that are popular street food of Peru. 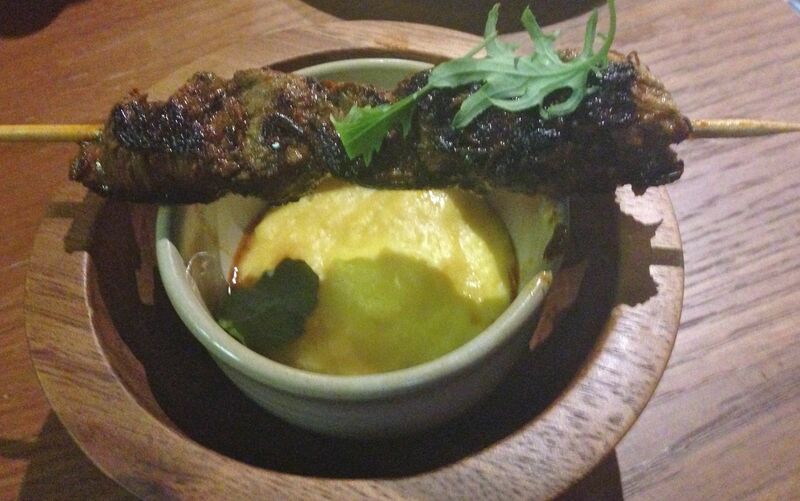 Beautiful beef tenderloin with panca chilli pepper and pachamancha sauce and served balanced over a bowl of sweetly silken corn puree. Something so simple, done so perfectly, my mouth is watering now as I write about it. Dishes cost £6 to £7 each and four make a satisfying lunch for two, so it’s good value. And it’s a great place to pop in for a cocktail and an exotic Peruvian snack after work. My trio of Lima experiences is complete…now I’ll just have to do it allover again. I’m loving the Peruvian flavours. Lima Floral is at 14 Garrick Street, Covent Garden (entrance in Floral Street).